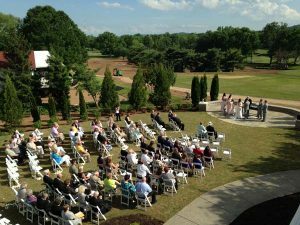 Nestled in the emerald green hills between Nashville and Franklin, the Brentwood Country Club is steeped in the history of charm, elegance, and grace of Tennessee. When people think of Country Clubs in Nashville, TN they think of Brentwood Country Club. Sitting among majestic trees, some of which are the oldest east of the Mississippi, the Club’s 215 acres boast many breathtaking and panoramic views. Golf membership privileges include unlimited golf, use of pool and recreation area, fitness facility and all clubhouse amenities. Available to ages 41 and older; applies to the age of the oldest spouse. Young Adult Golf membership privileges are the same as all other categories and are available to anyone 33 – 40 years old; applies to the age of the oldest spouse. Junior Executive Golf memberships are a non-voting class and privileges are the same as all other categories. This membership is available to anyone 32 years of age and younger; applies to the age of the oldest spouse. This membership includes the use of pool and recreation areas, fitness facility, and all clubhouse amenities. Children and Grandchildren of Social Members may participate in BCC’s Jr. Golf Camps and WCSL Summer Swim Team program. Social members may not use the driving range except for days they play as a guest of a member. Social Members may play golf as a guest up to 6x per calendar year. One initiation fee, paid in full upon application, up to four designees. The company must purchase the membership, but individuals may pay their own dues. Memberships may be transferred from one member to another, once per year, for a fee. Allows for three initial members for 60% of the prevailing Social rate. Five additional members may be added for 75% of the prevailing Social rate. One initiation fee, paid in full upon application, up to four designees. Non-transferable, all members in the group pay their own individual dues and fees. Click here if you would like to request more info!